As predicted, I didn't lose any weight this week. I actually expected to see a gain, but I was 137 on the dot again today (same as last week). My body fat and waist size were the same as well, so I didn't bother to do pictures. Today is the one year anniversary of my lower body lift surgery. I cannot believe it's been a year!! I am still super happy with the results, and would do it again in a heartbeat. A few people have e-mailed me asking for updated photos of my scar, so I had Jerry take some new pictures today. The first is a comparison--it was taken three weeks post-op. My scar has faded quite a bit, and it will continue to fade over time. It really kind of blends in with all my stretch marks, and that's what it looks like--a faded stretch mark. My belly button scar is still pretty dark, and I don't know if it will fade much more or not. But I actually really like the shape of my belly button. The actual shape is the same as it was before surgery, but now it doesn't have all the skin hanging around it. I haven't had any problems arise from the surgery. As expected, my scar is still numb, and an inch or so above and below the scar is also numb. It's getting a little more sensation now, though. Right after my surgery, I couldn't stand to touch my abdomen, because it was a very weird sensation. When Jerry would touch my hips, I would spasm and practically punch him, because the feeling was so WEIRD. But now I can handle being touched again. Once in a while I get an itch, but when I scratch, I can't feel the scratching. It's so strange! I used to not even allow the cats to sit on my lap, because I couldn't stand the feeling of their little paws walking on my belly. But now it's getting more tolerable, especially if I flex my abdominal muscles. I always have a little numbness, but it should still continue to get better for another year or so. One thing that I wasn't expecting is that my stomach skin is still saggy. When I stand up straight, it doesn't look like it, but when I lean over (or hold plank) my skin hangs a little. The only way the surgeon could have corrected this would have been to make a vertical incision down my abdomen to tighten the skin from both directions--but obviously I did not want that. I wasn't expecting perfection, and I'm very happy with how it looks. A lot of people have asked me about running after surgery. 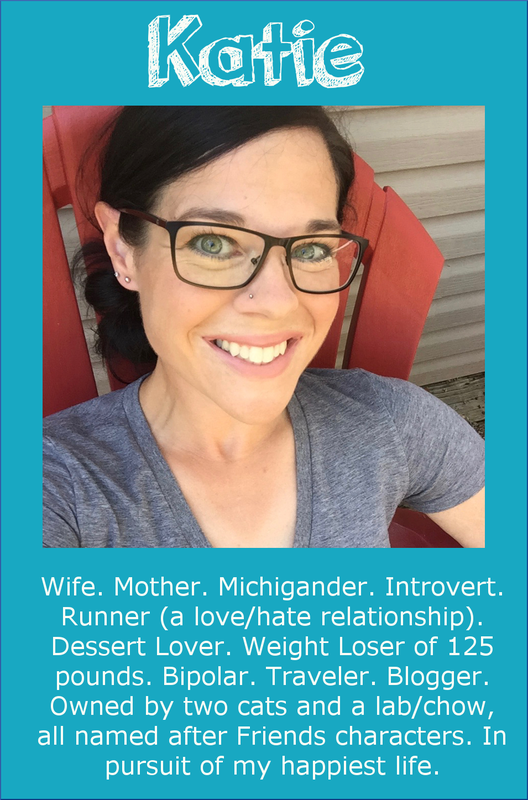 I was cleared to run just eight days after surgery, but I didn't have any desire to run at that point ;) I waited until 3 weeks and 5 days after surgery to run--and my first run was TOUGH. I felt out of shape from not having run for nearly a month, but I regained my fitness level very fast. By January, I was training for my first marathon, which I ran in May. So the surgery didn't hold me back from running at all. I did wear my compression garment while running for a while. It kept my belly from bouncing and jarring, and I liked the compressed feeling. But by March, I was fine to run without it. The first few runs felt weird without the compression garment, but I got used to it right away. Well, I was going to try and write a huge update with all kinds of details, but the truth is, the last year has been completely uneventful as far as the surgery goes--and that's a good thing! I didn't have any complications, everything went as expected, and I've completely recovered. I'm so happy that I had the surgery! It looks great!!!! Thanks for being a major inspiration to us all! I can't believe it's been a year!! Wow, time has GOT to slow down. Thanks for the update! I know, this year FLEW by! You started marathon training in January?? Any issues with snow and ice on the roads? I guess there's always the treadmill--I'm just impressed you were able to get the training done in the coldest months! I love love love running in the cold! I would choose snow over the heat of summer any day :) I have spikes for my shoes when there is ice or snow, but we had such a mild winter, I only used them once! Wow - I can't believe how much the scar has faded! I had a C-section, and I had that creepy numbness too. I'm 2.5 years out from that surgery, and almost all of the numbness is gone (and my skin continues to tighten from being stretched out with twins), so I bet yours will keep getting better! Yeah, I am really happy with the scar. I was expecting it to be much darker. That's great that your numbness is almost gone--mine has been getting better and better. I'm jealous of the gap between your thighs. You look great! LOL, I was standing with my legs a little apart. But thank you! I've had surgery and totally know that weird numb feeling on the incision. It's been 2 years and I still have no sensation on the incision scars. I hate it! It doesn't hurt necessarily, but it does at the same time. It's so hard to describe to anyone who hasn't experienced it personally. I'm sorry :( But I am glad that it is worth it. You look so amazing! Yes, the numbness is so strange--and definitely hard to describe! I'm definitely getting more sensation as time passes, but I doubt it will ever feel the same as before surgery. I wish there was more to write, but it's been a breeze! Happy Surgery-versary :). You look fantastic! I had my galbladder out 20+ years ago, I have a huge scar down the center ofmy belly. It was numb and felt weird for years, it eventually goes away. Sometimes that numb feeling never goes away. I had a c-section in 2001 and I'm still numb around that area, it's very strange but I guess I'm used to it now. You're looking great though. I started reading your blog just a few weeks before your surgery so can't believe it's been a year already, wow. I know, the time just flew by! Too bad yoy didnt lose weight but its good that the scale did not go up. & Happy Anniversary of the surgery. Happy year surgery annivrsary! And congrats on keeping it off! I realized the other day that you mentioned you had been feeling anxious- that could have been the reason for your weight fluctuating. Stress will do that. I hope things are better! I actually have some "hiney" pictures, but changed my mind about posting them ;) It's hard enough showing my belly! It looks wonderful! I'm glad to here it's been smooth sailing, so to speak! Thank you! And yes, I'm grateful that there weren't any complications. That's awesome! I hope that things continue to improve! You've healed really well, you look great! I think the absolute best part about your surgery is that a year later, you weighed approximately the same as you do now! Maintenance is YOURS! You didn't stretch that skin out again, and, that, I think is my greatest fear. 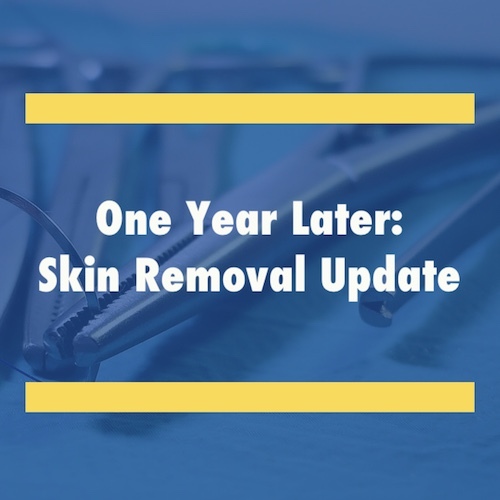 I remember early on in my weight loss, before I even got to my goal, my doctor suggesting that he set me up with an appointment with a plastic surgeon to check out skin reduction surgery. 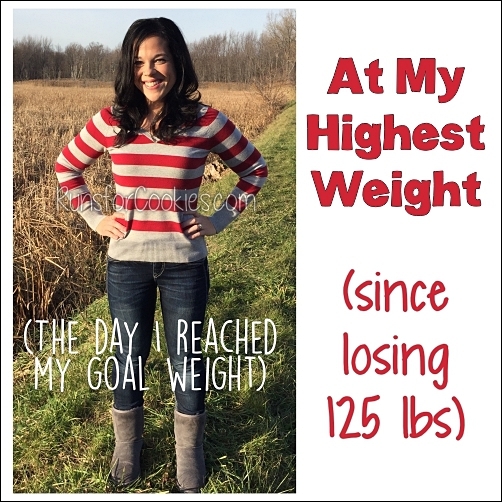 I wasn't ready then, because now only was I not yet at my goal, but I knew it was important to keep the weight off for a while after I reached goal, before pursuing surgery. I am somewhat disappointed that he has never mentioned it again. But I'm not looking for surgery anyway. At my age, I don't think I ever will pursue it. As you discovered, insurance doesn't pay that well, and as far as I know, my insurance wouldn't pay even a portion, since they have a clause where they will pay for NOTHING having to do with losing weight. Seems counter-productive to me, but I'm not in charge. For a beautiful young woman like you, however, I think this surgery was so important and necessary! I'm so thrilled you had it done and I continue to be amazed at all you do every day of your life. I am so looking forward to being as active in life as you are, when I retire next month. 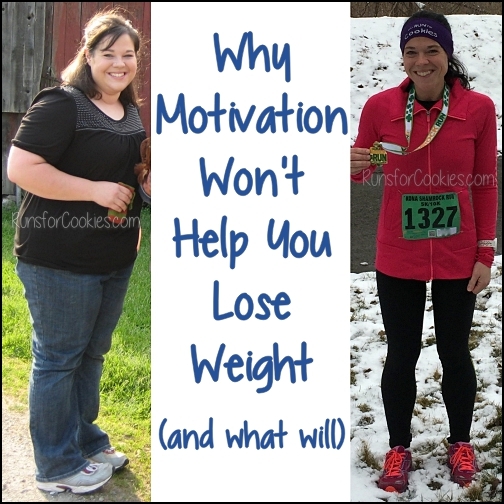 I will have more time to do crafty things and walk and find creative ways to stay motivated and keep the weight off. That will always be my over-riding concern...to keep the weight OFF! YOU ARE DOING IT Katie girl! I want to do it too! Pam, the surgery has definitely helped with maintenance! I will be paying off the surgery for another 3 years, so I would hate to gain back all the weight and the surgery will have been for nothing. So exciting that you're going to retire soon! Haha, I love podcasts--I actually find it much more entertaining than listening to music, which makes me zone out. Congrats on the awesome maintenance! I am just over 1/3rd of the way into my weight loss journey, but my tummy has hung for a long time. I read your surgery posts a while back and thank you for writing about them! I think as I continue to lose weight that the sagging tummy will really bug me. I already have a red line at the fold where it doesn't hurt, or really be uncomfortable, but I suspect it will become worse with more weight loss. 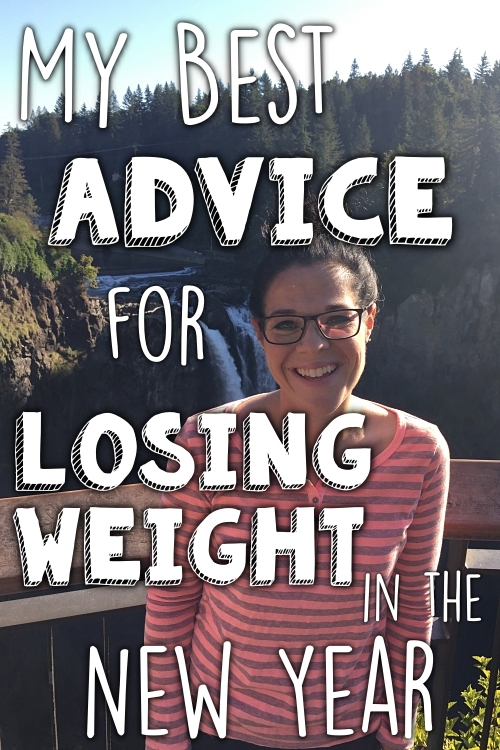 I was thinking just the other day that if I continue to be successful at weight loss that I would write you and ask if, looking back, you would do it again...and here you answered my question. I will, of course, determine after I'm much closer to my goal (42 lost, over 60 to go) if I still think that I want the surgery, but I suspect that I'll still have this hanging skin since I've been overweight so long. I've really enjoyed reading your blog. Thank you for being so inspiring! I know exactly what "red line" you're talking about--that is how mine started as well. I always knew I'd need a tummy tuck to remove the loose skin--but I didn't realize that the loose skin was going to cause as many problems as it did. I'm so glad it's gone now! Wow, you look amazing! Thanks for sharing an update. I have about 120 lbs to lose, and I expect to have saggy skin as well. I haven't had kids yet. But I will probably have skin removed and/or a body lift as well after I lose all my weight and have kids. It's very inspirational. Thank you! Best wishes on your weight loss--you can do it! I have lost 100 pounds, maintained that weightloss for almost 2 years now and am tired of seeing the hanging skin. I am debating on the vertical scar, my stomach skin really hangs a lot, it's hard for me to see it. I went for a consult, and I am ready finally to have the surgery. I think seeing your pictures and reading your blog is very inspirational and gives me the courage to go ahead with the surgery, so thank you so much for being so brave! My gosh, has it really been a year already? Time is just zipping by. I get a lot of email from people asking about my loose skin and whether or not I had surgery. I just direct them here. Chronicling your story from beginning to end has helped so many people who need direction. I'm so glad to offer your blog as a place to read and learn. I'm so jealous of this. I went to a consult for tummy tuck and breast reduction, our insurance deductible is too high and it would cost too much. And it would only cover the breast reduction, I've only lost 45lbs. 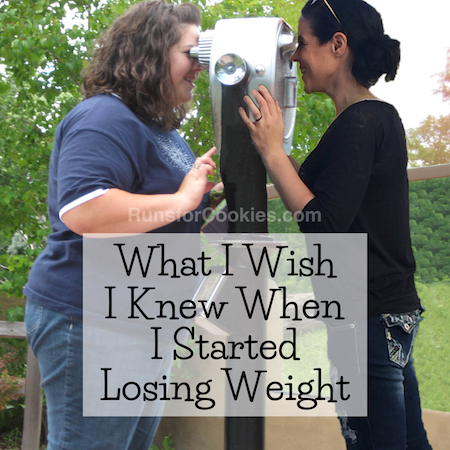 I would still love to lose another 50lbs. which would put me to my wedding day. The extra skin is the worst and so annoying. Anyway, you look great, and earned the right to feel so proud of yourself! My husband found your blog for me to read and learn from. Congratulations and you look fabulous!! I'm scheduled to have this surgery on January 17th and was wondering how your running was affected by all this? 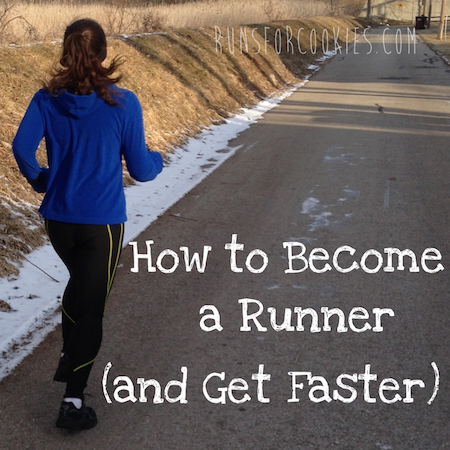 Has it changed your endurance, speed, etc? I'm excited, nervous, scared, etc. about all the aspects of my surgery, but the main part I'm concerned about is the recovery for my running. I'm a multiple marathon runner and will have 4-5 marathons 9 months from my surgery. Do you feel this is attainable after this type of surgery? How did it affect your marathon training? I understand there will be a few weeks of "down time", but I was wondering how you felt months down the road running higher miles? I just can't wait to wear ONLY a sports bra and shorts in the summer instead of hiding my excess in a tank or t-shirt on hot days! I've worked hard in the last 5 years to maintain my 75 lb weight loss and can't wait to see the rewards that I know are just underneath it all! Thanks for any insight! Keep it up! I was nervous about the running, too! Of course you should listen to what your doctor says over what my experience was, but I started running again about 4 weeks after surgery. My doctor actually cleared me to run just 8 days after surgery, but I wasn't feel up to it just yet ;) The first couple of weeks back to running was HARD--one mile felt like I'd run 10! But my fitness was regained really quickly. My surgery was in mid November, and I started marathon training in January. I felt 100% back to normal probably about 8 weeks after surgery. I wore my compression garment during my runs for a few months, to reduce the jarring of my stomach, and I think that helped a lot. From some one who has been "slim" most of my life (a few years of a rough slip up, and a 50 lb weight gain then loss), I have to say you look GREAT!! Your tummy is so flat and looks perfect!! Congrats on your weight loss and good luck going forward! You should try a Tough Mudder if it's ever in your area, that's a fun one! I'm a bit late to the game... My sister just told me about your blog. I am so amazed by you- the determination to do what you have accomplished and the courage to share your story with others. Just wow! Thank you!! I just found your blog while researching my own tummy tuck scheduled for less than 1 month from now. Thank you for your honesty and bravery in posting the pics. I'm not sure that I'd be that brave, I'm still very hesitant to tell people that I'm having the surgery. I'm terrified of the recovery, but I know it will be worth it in the end. Thank you for helping me to prepare for my own surgery with your story and pictures. Hi, I came across your blog a few days ago and I find it very inspirational! I'm very overweight and desperate to lose it. Reading your posts makes me feel like I can do it, too! I am wondering why you had excess skin. I only ask because I'm planning on trying a similar method as yours and I'm hoping I can avoid any kind of surgery. Any advice would be great! :D What you've done is amazing and I hope one day I have a story like yours. You look amazing! Love your determination. This is a true success story. i cancelled 3 bookings of my lower body lift, in an ambulatory clinic, in nyc, these past three months. srround yourself with people, who beleive your worth it!!! go to any length, to survive, and let go of your fears of pleasing others, before yourself.